“I think it’s one of the most important battles for consumers to fight: the right to know what’s in their food, and how it was grown.” – Joel Salatin. Fair Game is a truly amazing initiative and the brainchild of Dr Bool Smuts of the Landmark Foundation. He’s an amazing man and has done wonders for wildlife conservation in South Africa. I’ve always wanted to work with him but unfortunately I never knew how I could help, but that has recently changed. He’s the man in the Leopard Promotional Video and we are currently working in collaboration on that project. Although his organization is concerned with general wildlife conservation, they use the leopard as their poster child and he has become the go-to guy if you want to know about these elusive creatures. The main problem that threatens these animals is the leopard-farmer conflict. It’s harder than ever to be a farmer and so they cannot afford any stock losses to predators, but the advocated solutions are indiscriminate, unethical and inhumane to say the least and ultimately exacerbates the problem. This is where Fair Game hopes to help. The Fair Game initiative is a means of branding products, providing consumers with a means of supporting Fair Game accredited farmers through increased financial returns for their predator-friendly farming methods. Episode three of my new series Karoo: Land of Thirst is actually set on the farm of the first Fair Game accredited farmer’s – Roy Heindrich. He was losing massive amounts of his Angora goats to indigenous predators, and he had told me that he would go out and shoot five jackal a night and it had no effect on his livestock numbers, so he decided to try something new – although it’s not really new, but ancient. 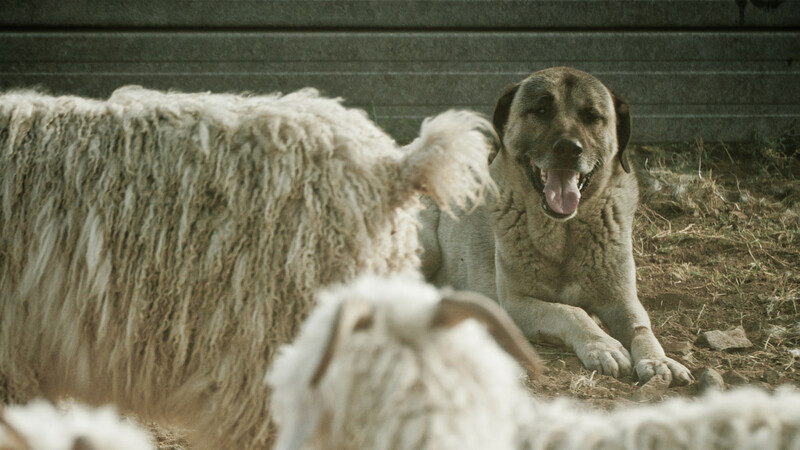 He had incorporated Anatolian sheep dogs into his herds of goat to act as a guard to opportunistic wild predators. This technique has been used practically since the advent of domesticated livestock farming, although we seem to have forgotten about it as we marched into the 21st century. And the results are astonishing. He lost 97% less livestock with these dogs, and each dog was saving him on average R50 000 a year. The most important thing that I learnt from all this was that the current methods against livestock predation are not actually solutions and in fact exacerbate the issues at hand, but effective alternatives do exist and although they will not fix all the problems over night, they are most certainly a leap forward in the right direction.